kesha without make up <18years. . Wallpaper and background images in the 凯莎 club tagged: ke$ha 2009 kesha tik tok kesha without make up. 凯莎 at the 2010 VMA promo shoot. Omigosh- is that really her?! OmG!!!! She looks better with makeup...! you guys are so mean ! i bet you guys dont look amazing without make up either !!! okay, so ur telling me that make-up defines a person!? if she didn't wear make-up, and looked like this ALL THE TIMEEEEE, would u buy her songs on iTunes? would you buy her cds? would you download anything or get anything of hers?????? and secondly, I still would because of the music she writes. She still looks like herself but she looks more... idk DRUNK! aww fs guys, shes actually quite pretty without make up on. you'll find a lot of people dont actually look as nice without make up, as they do when they wear make up. the basic point of make up is to look nicer. oh come on, she just looks like any other normal person, thats a gud thing isnt it? She really is UGLY without make up i mean it too!!!!!! Wow she looks different but I still think she's pretty. SHE LOOKS SOOOOOOO YOUNG..LIKE 15!!!!! 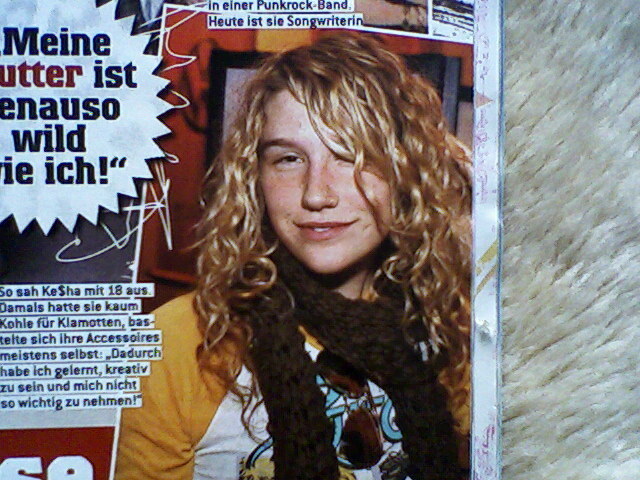 I THINK WE CAN ALL AGREE THAT SHE LOOKS VERYY VERY DIFFERENT WITH OUT MAKEUP BUT SHE IS STILL KE$HA. HER MUSIC STYLE IS STILLT HE SAME WHEN SHE WEARS MAKEUP AND DOESN'T SO JUST CALM DOWN ABOUT IT.